Davids S, Schapira RM. 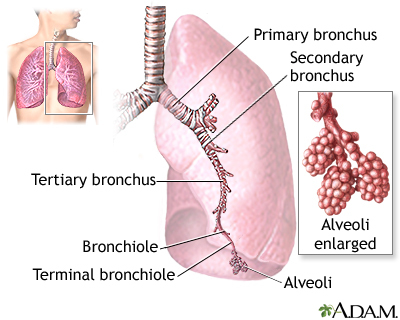 The respiratory system: acute bronchitis. In: Bope ET, Kellerman RD, eds. Conn's Current Therapy 2016. 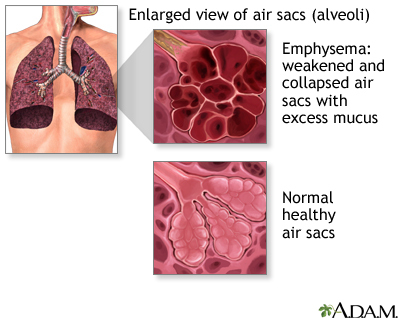 Philadelphia, PA: Elsevier Saunders; 2014:chap 6. Ferri FF. 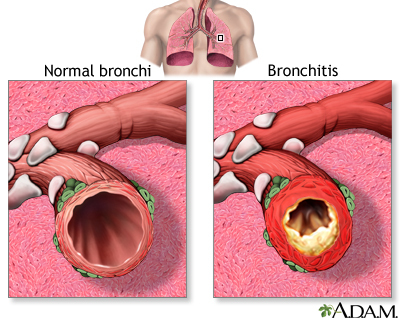 Acute bronchitis. In: Ferri FF, ed. Ferri's Clinical Advisor 2016. Philadelphia, PA: Elsevier; 2016:section 1. Walsh EE. 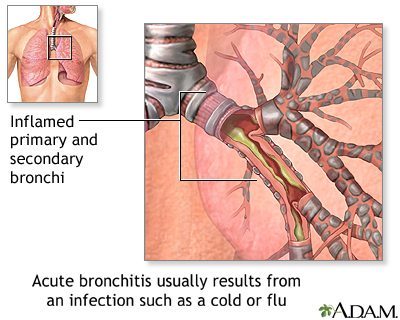 Acute bronchitis. In: Bennett JE, Dolin R, Blaser MJ, eds. 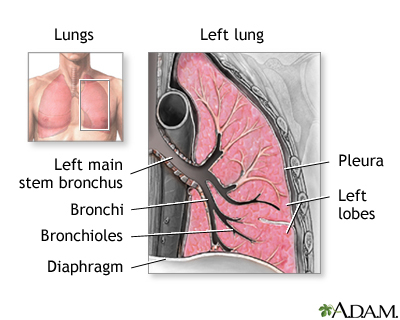 Mandell, Douglas and Bennett's Principles and Practice of Infectious Diseases. 8th ed. Philadelphia, PA: Elsevier Saunders; 2015:chap 66. 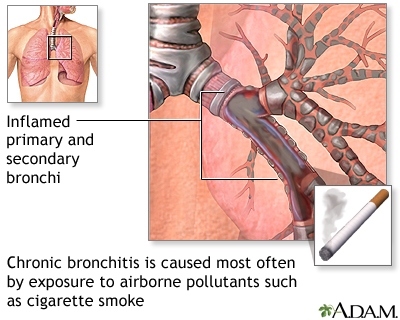 Denis Hadjiliadis, MD, MHS, Associate Professor of Medicine, Pulmonary, Allergy, and Critical Care, Perelman School of Medicine, University of Pennsylvania, Philadelphia, PA. Also reviewed by David Zieve, MD, MHA, Isla Ogilvie, PhD, and the A.D.A.M. Editorial team.